Kuala Lumpur, December 2016 – Our team from wljack.com has had a pleasant afternoon during the food review which has taken place earlier this month at Station One Vintage Pandan Indah. 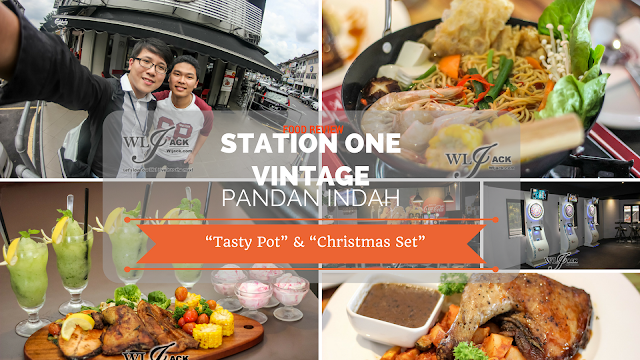 We were given an opportunity to try out 2 new promotions launched at Station One, which was namely the “Tasty Pot” and “Christmas Set”. 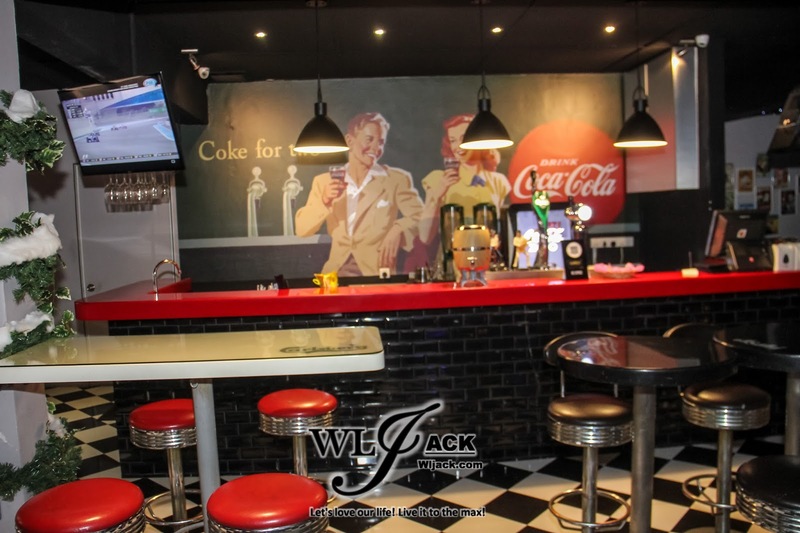 American Diner Concept at Station One Vintage Café! Before I start introducing both the promotions, I would like to highlight regarding the Station One Vintage Café. 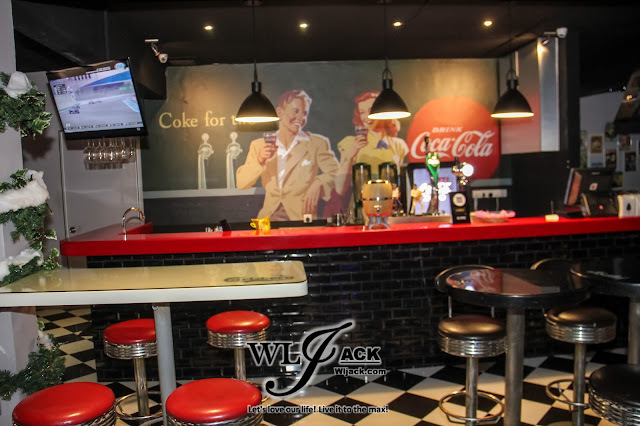 It is an American diner concept café with a focus on serving various food and beverages. From the inside, it has a cool vintage feel interior with the setting inspired by retro American with chequered floor tiles and also a black & white theme. As you sit comfortably on a red banquette, you get to enjoy the timeless music from the past. It can give you vibes like those atmosphere in “Back to the Future” American dining. This is definitely a good spot for hang out with friends! 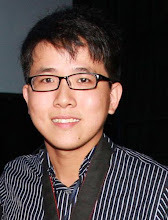 Double Promotions, Double the Excitement! The two promotions being introduced by Station One are really exciting. 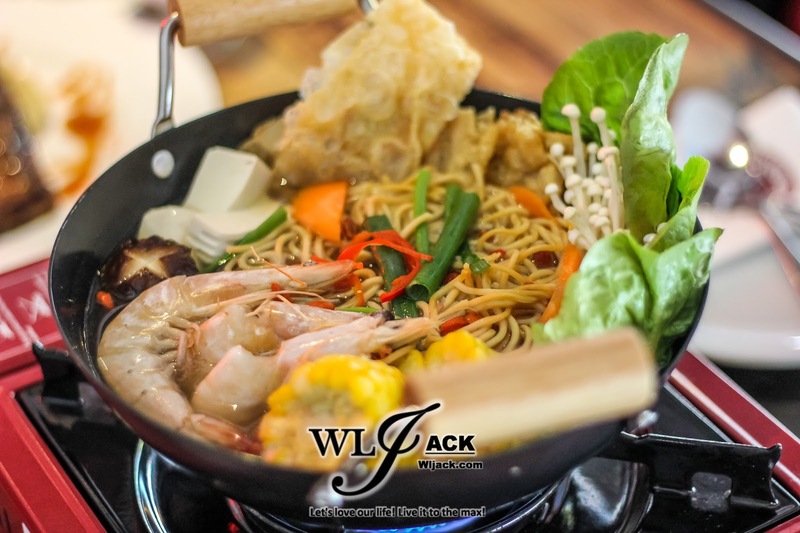 The first promotion is the “Tasty Pot” which includes Herbal Chicken Noodle Pot (for 2-3 pax) at the price of RM 33++ and Seafood Noodle Pot (for 2-3 pax) at the price of RM 36++. 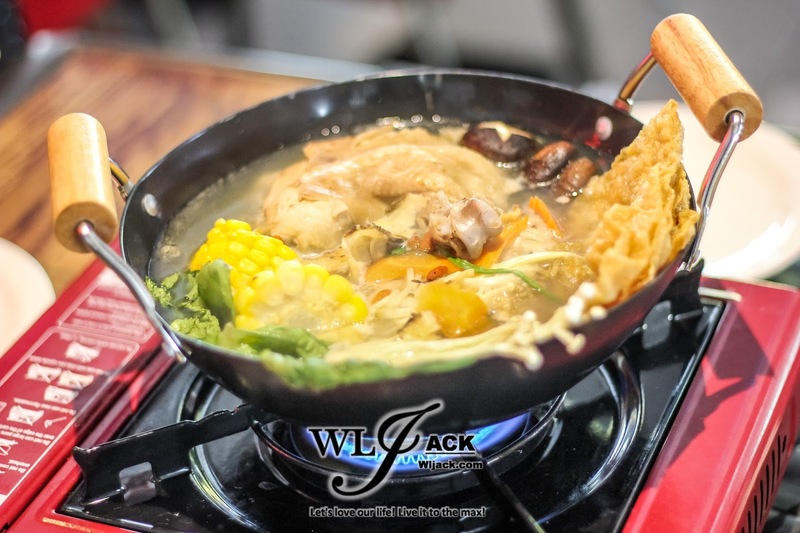 The Herbal Chicken Noodle Pot consists of Braised Herbal Chicken Whole Leg along with different types of mushroom and herbs while Seafood Noodle Pot comprises of Prawns, Squid with beancurd skins as well other herbs & vegetables. Both of the Tasty Pot are as they are named after, tasty! The sweetness and the heaty pot meal can really stimulate your taste buds and warm your heart. Apart from the Tasty Pot, another great promotion in this festive season is the Christmas Set. 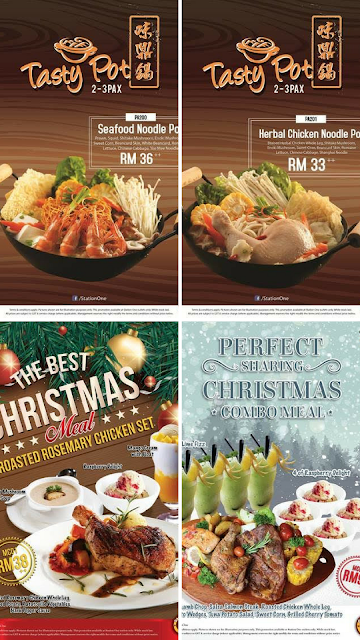 There are also two Christmas Set, the “The Best Christmas Meal Roasted Rosemary Chicken Set” (RM 38++) and “Perfect Sharing Christmas Combo Meal” (RM 98++). 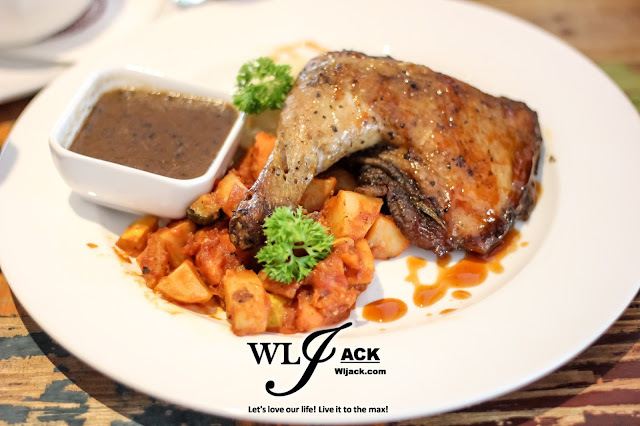 “The Best Christmas Meal Roasted Rosemary Chicken Set” (RM 38++) is suitable for 1 pax as it consists of a delicious roasted rosemary chicken whole leg complemented with Mango Cream With Float, Raspberry Delight and Creamy Mushroom Soup. 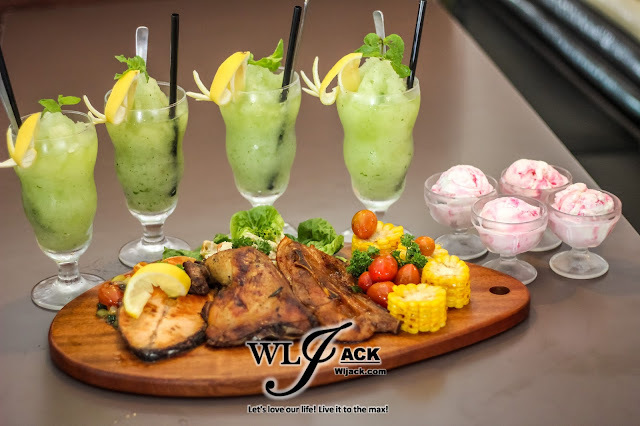 On the other hand, for the heavier eater or for 3-4 pax, you can give a try on the “Perfect Sharing Christmas Combo Meal” (RM 98++) which provides you a mix-and-match flavours including Lamb Chop, Salsa Salmon Steak, Roasted Chicken Whole Leg alongside Raspberry Delight and cooling Lime Fizz. 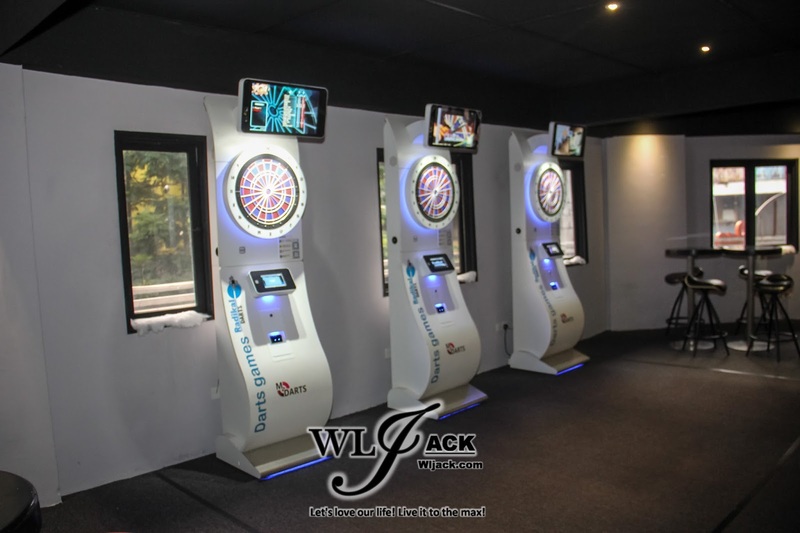 56G, Jalan 4/3, Pandan Indah, 55100 Kuala Lumpur. 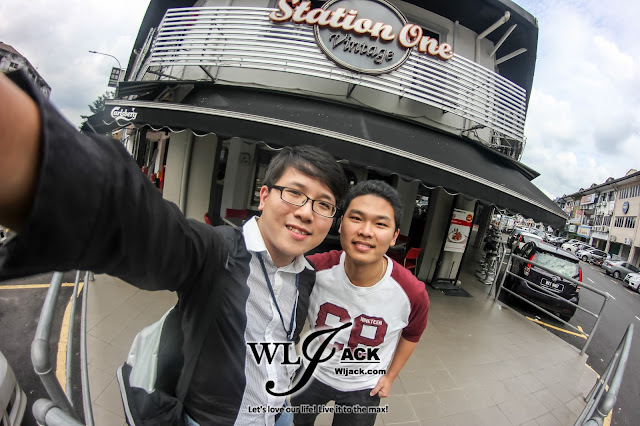 Both me and my co-editor, Philip truly enjoyed the meals as well as the atmosphere in Station One Vintage Café located at Pandan Indah. 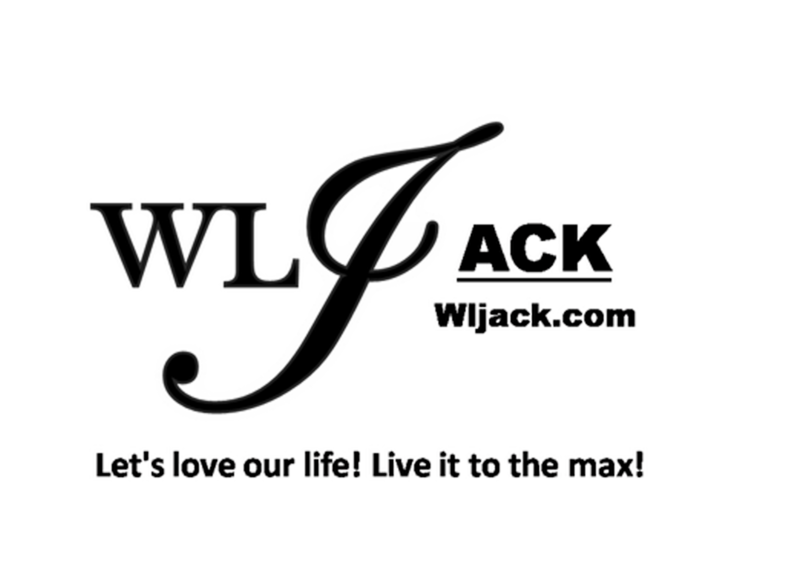 Do visit here for its awesome treats!